"Large Assortment Precut Black & Clear Shrink Tubing, 3/8""-1"" Dia. 14 Types. SH"
"Large Assortment Precut Black & Clear Shrink Tubing, 3/8""-1"" Diameter, 14 Types, packaged separately." Lot Of SEVEN Slotted Guide Tracks For Neve Modules, Used, Some Damage. "200 Feet Of New Insultab Blue 3/16"" 2:1 Shrink Tubing. (50 48"" Sticks.) 6016. SL"
"200 Feet Of New Insultab Blue 3/16"" 2:1 Shrink Tubing." 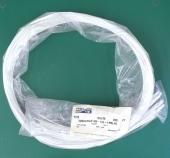 "200 Feet Of New Insultab White 1/16"" 2:1 Shrink Tubing. (50 48"" Sticks.) 6001. SL"
"200 Feet Of New Insultab White 1/16"" 2:1 Shrink Tubing." 1000 Feet Of New Insultab Black #20 Gauge PVC Insulated Sleeving. 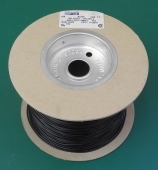 "244 Feet Of New Insultab Black 1/4"" 2:1 Shrink Tubing. (61 48"" Sticks.) 6015. SL"
"244 Feet Of New Insultab Black 1/4"" 2:1 Shrink Tubing." "132 Feet Of New Insultab Clear 3/16"" 2:1 Shrink Tubing. (33 48"" Sticks.) 6014. SL"
"132 Feet Of New Insultab Clear 3/16"" 2:1 Shrink Tubing." "104 Feet Of New Insultab Clear 1/2"" 2:1 Shrink Tubing. (26 48"" Sticks.) 6003. SL"
"104 Feet Of New Insultab Clear 1/2"" 2:1 Shrink Tubing." 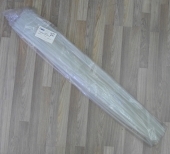 "16 Feet Of New Insultab Clear 3/4"" 2:1 Shrink Tubing. (4 48"" Sticks.) 6002. SL"
"16 Feet Of New Insultab Clear 3/4"" 2:1 Shrink Tubing."